We believe that healthcare should be accessible, convenient and available. We have decades of experience in providing healthcare at home. We look forward to providing a service that is innovative, accessible, and reliable. We take care of everyone from age 1 to 101 and beyond. We will take care of you! 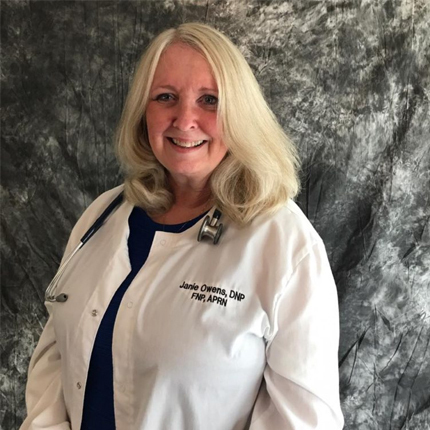 Our owner and founder, Jane Owens, is a family nurse practitioner with over thirty years of nursing experience. She has been a nurse practitioner since 2004, and is nationally certified through AANP. She has worked with thousands of patients across the United States, and well understands the challenges that patients face regarding healthcare accessibility. She and her husband, Larry wanted to bring a quality health practice to their hometown of Lexington that will provide an innovative and comprehensive approach to primary care. 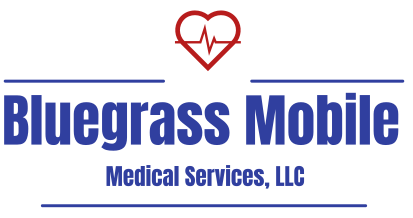 At Bluegrass Mobile Medical Services, your healthcare team is like family. We are Kentuckians who are committed to bringing a quality healthcare experience to the greater Lexington area.! Schedule a visit today, so that we can introduce ourselves to you! Jane Owens is a 2004 graduate of Eastern Kentucky University, FNP program. She completed her doctoral studies in 2015 at Frontier Nursing University, and was awarded the Doctor of Nursing Practice Degree. Her family has lifelong Kentucky roots, and she is a Lexington resident. She was awarded the AANP Kentucky Nurse Advocate of the Year for 2018. Larry Owens is our practice administrator. 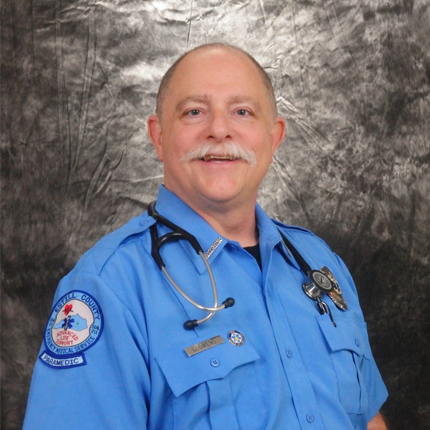 He is a National Registered Paramedic with many years experience in EMS and Fire Service. He currently practices part time with a 911 EMS Service in rural Appalachia. He is a lifelong Kentucky resident, and spent most of his growing up years in Pineville, Kentucky. He currently resides in Lexington, Kentucky.